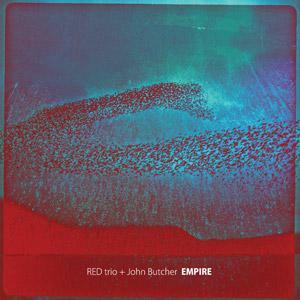 RED trio invited the British saxophone player John Butcher for a series of concerts in Portugal (Fundação Culturgest in Lisboa, Fundação Serralves in Porto, CAE at Portalegre and Oeiras) and at Imaxinasons Festival in Spain in 2010. All the tour concerts were recorded and one studio session in Lisbon was made which is the material of this record. After two years playing together the idea to invite a new musician was seen as a challenge with the sole purpose to bring the music of each member of the trio to completely new universes. At that time the trio decided to invite John Butcher because of his way of thinking the music, his technique, but specially for his creativity. All the concerts with John Butcher where challenges because John was always looking for different paths, consciously pushing all the group not to repeat comfortable situations and to focus the improvisation on its most direct and intuitive aspect. After RED trio’s first record on Clean Feed (2010), this record sets a cornerstone for the groups music and for the approach to its creation the trio wants to follow, focusing more and more on the sound exploration and on the communication flow among the group. This records music is intense with parts where silence, noise, dark and eerie landscapes, nimble phrases and massive blocks of sound are interchanged to form the long form three tracks on this LP. In the digital version of the disc there is an additional track from a concert the quartet performed at Imaxinasons Festival. The track was recorded directly from the mixing desk capturing the sound and feeling of the quartet playing live.